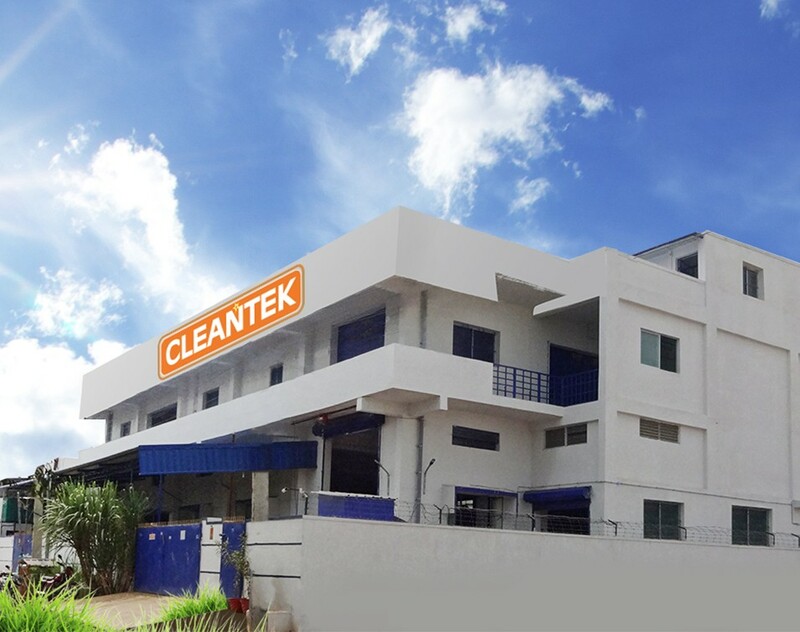 About Cleantek Cleaning Equipments CLEANTEK is a renowned manufacturer supplying customized industrial Pollution Control Equipments & Cleaning Equipment’s for various industries like Automobile, Textile, Food & Pharma, Engineering and Rubber industries. CLEANTEK is a renowned manufacturer supplying customized industrial Pollution Control Equipments & Cleaning Equipment’s for various industries like Automobile, Textile, Food & Pharma, Engineering and Rubber industries. Since establishment in 2006, we persistently make efforts to produce technically sound cleaning equipments. Mr. A. Krishnamoorthy, the CEO of the organization has given a distinctive edge to the organization in the global market. His enterprising skills and industrious efforts assist us in achieving specialization in the manufacturing of Pneumatic Conveyors, Industrial Dust Collector, Industrial Vacuum Cleaner, Oil Mist Collector, Fume Extraction systems, Ring Blowers, CentriFugal Blowers,etc. Today, we are well reckoned as the fastest emerging Fume Extraction System Exporter and one of the prospering Suppliers of the same. With a vision to serve our clients industrial clean air needs, we come up with gamut of innovative products that are highly durable, well designed and are well-known for its performance. Our comprehensive range of cleaning products include Industrial Vacuum Cleaners, Wet & Dry Vacuum Cleaners, Centralized Vacuum Cleaning System, Down Draft Table, Dust Work Booth, Centrifugal Blowers, Regenerative Blowers, Welding Fume Extractor, Soldering Fume Extractor, Wood Dust Collector, Dust Collection Unit and Oil Mist Collector. Built from high-quality materials and designed to exacting specifications, our products will stand the test of time, providing years of cleaning service. Our production unit which is equipped with requisite technology and hi-tech machines enable us to produce our range as per industrial standards. Backed by proficient workforce, we are able to supply the bulk demands of discerning clients across the globe. Our relentless effort to provide innovative solutions with unmatched quality and utmost performance has given us a distinctive edge in the global market. CLEANTEK exporting Industrial vacuum cleaner,dust collector,wood dust collector,air blower,centrifugal air blower,ring blower,Hopper loader,air knife,vacuum conveying systems to all over the world. The company’s quality culture has been adopted right throughout the organisation, customer satisfaction being at the core of the program. Our commitment and dedication to make flawless products has made us climb the ladder of success. We are a growth oriented organization making constant efforts to expand our market reach. Cleantek presently exports its products to UAE, South Africa, Sri Lanka, Australia, Singapore, Nepal and much more. We are a prominent Manufacturer, Exporter and Supplier of a proven range of technologically advanced Cleaning Products. Our range includes Dust Collection System, Industrial Vacuum Cleaner, wood dust collector etc. These products are manufactured in compliance with set industrial standards thus finds application in various industries. The strength of the organization lies in our experienced team of professionals which works very hard to provide utmost level of satisfaction to the clients. Our team of experienced and qualified engineers, technicians, quality controllers, marketing representatives, research analysts, warehouse in charges, administrators, manager & allied personnel’s assist us in bringing regular up gradations in our product range such as fume extractor, wood dust extractor, etc, and dedicatedly work towards making them more suitable to client’s specific requirements. With their assiduous efforts, we are able to achieve a reputed name in the global market. The healthy working atmosphere at our premises and proper coordination between the management & employees also assists our experienced workforce in designing and developing flawless range of high performance oriented products. Our team is capable to understand the market demand and design our range accordingly. We boast of a sound infrastructural base that is well equipped with advanced technology machines and equipments. Our strong infrastructure is the major asset to our organization. With a sound infrastructure, we are able of offering high quality products with huge effectiveness to our clients. Our infrastructure is equipped with latest machinery enabling the manufacturing of premium quality products at competitive rates. To keep pace with the advancement in technology, we continually upgrade the production machines. High speed machines assure the production of high efficiency products at a very brisk pace.